Intrepid author veller and earcher, Sunita Dwivedi set out on an exhaustive journey through Ce al Asia sea f ancient statutes of Buddha. Retracing the paths forged by great Buddhist monks over the cries, she negotiated scorching deserts, lush meadows, dry steppe lands, snow-capped mountains and gushing river valleys to chronicle the life and times of the many Budh viha s in which these statues had been instated. Drawing upon her extensive sojourns, Sunita recreates in this volume the bygone eras in which these shrines ere great centres of learning and devotion. And, juxtaposing past grandeur with the dereliction of the present, Sunita brings back to vivid life the holy path of dharma these viharas once espoused. Embellished by compelling photographs that the author herself took, Buddha in Central Asia is as much a rousing narration of an adventure as it is a chronicle of an enduring search for spirituality. This book will interest both students of history and those interested in the evolution of Buddhism. Sunita Dwivedi is a keen photographer, an avid traveller and a journalist by profession, having worked in several dailies including The Times of India, Hindustan Times, The Pioneer and Northern India Patrika. She left a full-time job in 1997 to pursue her passion for travelling and photography on the Silk Road through Asia and Europe. A post-graduate in English Literature from Lucknow University, she completed her schooling from St Mary's Convent, Allahabad, and Bachelor's and Master's in Education from Allahabad University. She has authored two travelogues-Buddhist Heritage Sites of India and In Quest of the Buddha: Journeys on the Silk Road. 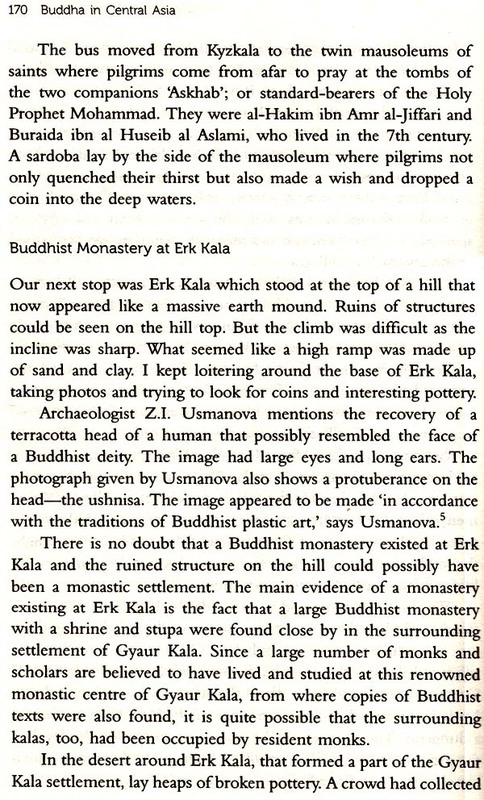 This is her third historiographical travelogue on the Buddhist sites in Central Asia from Mghanistan to Kazakhstan. The journey of Buddhism from India into Central Asia along the Silk Routes is a fascinating story. The Indians have been in concourse with the Central Asians for several millennia. They have been the closest and the oldest neighbours with whom Indians had historical relations for generations. This book recapitulates the threads of old linkages with Central Asia-an extended neighbourhood of India. During the first half of the first millennium AD, Central Asia had grown into an important centre of Buddhist culture; and besides being a halting place for Indian and Chinese monks, it served as a transmitting centre for new ideas and technology. The routes starting from north-west India in those days passed by Hadda and Nangarhar (Ialalabad) and reached Bamyan before crossing the Hindukush into the Arnu and the Syr Darya regions. We need to revive these routes between India and Central Asia to enhance regional cooperation. Sunita Dwivedi has researched almost all Buddhist sites and produced a volume which combines historical narratives with a contemporary travelogue. 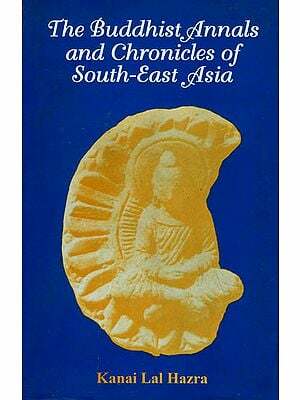 She gives graphic details of the varied Buddhist sites in Central Asia and Mghanistan. In an age torn with conflict, war and tension, the message of Buddha remains a source of inspiration. I commend Mrs Dwivedi for her scholarship. I am sure this book will be of interest to scholars, policy-makers, diplomats and decision-makers in India, Central Asia and Mghanistan as well as students of Buddhism and Central Asia around the world. This book is reminiscent of the dream-space of Emperor Asoka, whose global vision is unique in the annals of India. As viceroy at Taxila, the cultural heart of the Gandhara region, he was close to trans-Gandhara (Uttarapatha) or the Central Asian kingdoms where his dharma-vijaya found a brilliant efflorescence in later years. Mrs Sunita Dwivedi as a daughter of Kush in agar-the capital of the Mallas where Lord Buddha transited from this world into the dharmakaya-finds her mind roaming in the trans-Gandharan regions, once highlighted by Buddhism as a way of values, dotted with great monastic centres and stupas, richly endowed libraries of sacred texts and profound philosophical treatises, as their literati created the immensity of the East Asian diction. The acculturation of the ferocious tribes of Central Asia was commenced by Asoka when he sent his ministers to Khotan to establish a kingdom. The Chinese nidana of the blinding of Asoka’s son, which was translated in AD 391 by Dharmanandin, says that his empire comprised Kucha (Watters 1904: 1.59). Imperial pennants of Asoka flew over Gandhara, and it is natural that Sunitaji should begin her travelogue from Mghanistan. The Mghans are mentioned by Varahamihira (early 6th century) as ]\vagana', and repeated by Hiuen Tsang in Chinese transcription (Ap'o-kien). Gandhara is the only region which gives name to one of the seven notes of Indian music as GA (sa re ga ... ). This travelogue is fascinating in its evocative description of contemporary life in the six countries traversed by the author. She begins her odyssey in quest of the footprints of Lord Buddha by a flight to Kabul. 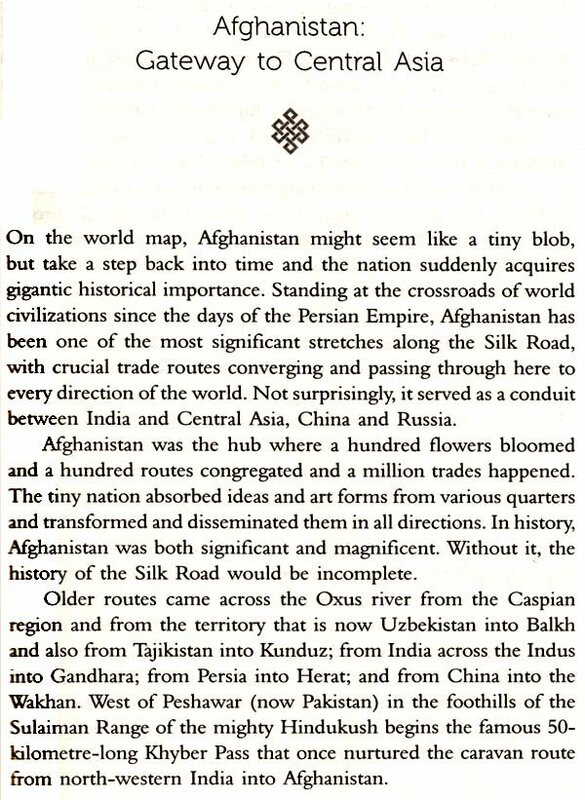 The most ancient reference to Kabul is in the hymns of the Rig Veda. Kabul as her first destination is true to her name 'Dwivedi' which refers to the two Vedas: Rig Veda and Sarna Veda. This journey of an Indian to Central Asian countries-the Serindia or 'India of the Silk' of the Roman historian Procopius- kindles new sensitivities of the phylogeny of time. The cool of Kabul, the mountain pass of Paghman, its orange ice-lolly, roaring gush of the river, the tombs of the mother, sister, wife, favoured begums of Babur, and finally, ofEmperor Babur himself, recall the glories of this historic capital where he finally based his kingdom. The remains of the Buddhist city of Mes Aynak belonging to nine centuries (1st-9th century AD)-with monastic centres with richly ornamented shrines, hundreds of statuettes, and coins of Kushan kings-bring up the glories of classical Mghanistan. Sanskrit manuscripts on palm leaf, use of the Gupta script, Lord Siva as the tutelary deity ofKujula Kadphises, the founder of the Kushan Empire-are thrilling experiences written in the simple flow of Sunitaji's narrative. She describes her visit to the National Museum, its reconstruction, the alms bowl of the Buddha, statue of Kanishka from Surkh Kotal, murals from Kakrak, Bamyan, Nangarhar, Dalverzin Tepe, ivory statuettes and other amazing antiquities. It is a reassuring thought that the contributions of the forefathers of the Mghans are treasured for understanding the cultural outflow that gave rise to the glories of distant China, Korea and Japan. Write with letters of pure awareness and wisdom. 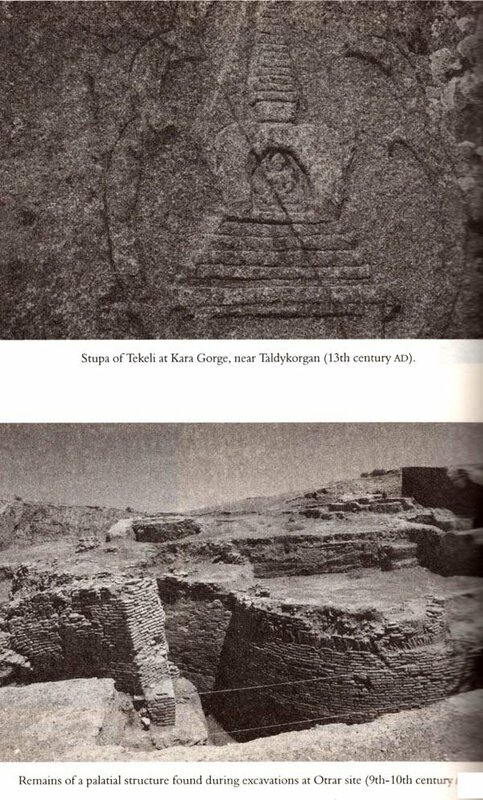 The book gives a bird's-eye view of the important Buddhist sites of Mghanistan, beginning with Bamyan, its cave shrines, the efforts to find the 1000-feet Buddha in Nirvana, the colossal statue of Lord Buddha at Kakrak, the original home of the Kakkars. Balkh or Bactra-'the armoured city' from Persian bakhtar 'armour' -where Alexander married Roxana, the charming daughter of a nobleman; where Trapusa and Bhallika put up the world's first Buddhist stupa with the hair and nail pairings of Lord Buddha, which had 100 convents with 3000 monks during the visit of Hiuen Tsang, and other such treasures are a dazzling sweep of time in the words of Sunitaji, which will tempt any reader to visit these hallowed spots by the first flight. The massive stupas at Top-e-Rustam and Takht-e-Rustam in the Samangan province; are they the ancient Navbahar? Navbahar is the new (Nav) bahar (Vihara, monastery) of Vajrayana with the concupiscent charm of the images of Buddhist goddesses. The blue-tiled Blue Mosque is the most sacred shrine Mghanistan as the mausoleum of Ali, the cousin and son-in-law of the Prophet. Blue is the colour of meditation in Buddhism; layers of time owned in the amnesia of centuries.